A feeling of something special, something different? It’s been that way from the moment Chris Paul arrived. A conference semifinal appearance last season seems to be only the beginning. Way more than just lob-city and Blake Griffin alley-oop dunks, the Los Angeles Clippers are venturing territory they haven’t been to before, as NBA title contenders. Winning 12 games in a row is the franchise record, so there’s that. It hasn’t been against the toughest of opponents, including the latest victims of their excellent form, the Sacramento Kings, but it has also included away wins in Milwaukee, Chicago and Utah. A franchise with so little to be proud of in the past has to grasp on to anything it can to show these are different times, with players who are actually proud to be part of the organization. That’s one of the special things about Chris Paul. Not just playing like the best point guard in the NBA (24 points, 13 assists), but at least in words, committing himself to the future of this franchise and seeming like someone who actually gives a damn about the history and what having a successful season means to those who have been around the organization for a long time. I know Ron Harper really well. He’s a good friend of mine, and he’s excited for us. We just played against Corey Maggette, and he was excited to see how it is now. So it’s been exciting for me in the short amount of time I’ve been here, especially knowing some of the people who have been with the team for 25 or 30 years and the season-ticket holders. But we can’t be satisfied. We’ve got to keep it going. Just how rare is it for the Clippers to win so much in such a short time? They’ve had 20 double-digit losing streaks since their 11-game winning streak in Buffalo (1974-1975), including a dozen of 12 or more. They lost their first 16 in 1994-95, their first 17 of the lockout-shortened 1988-89 season and the final 14 in 1986-87. The club record for consecutive defeats is 19, set in 1981-82 and equaled in 1988-89. Maybe the change goes even further back, to Blake Griffin’s first real season. He missed the first, in classic Clippers first round pick fashion, with an injury that kept him out of the entire season. In his rookie campaign he and the team didn’t win a lot, but the Clippers suddenly became interesting, trendy, fun to watch. The addition of Paul and other players over the last couple of years complete that puzzle into a team that can finally blend high flying, highlight style basketball with the fundumentals needs to win consistently in the NBA. Blake Griffin himself improving his game, along with DeAndre Jordan, becoming quite a defensive presence and more than just a guy who swats balls without thinking, relying only on his athletic ability. A defense that hasn’t allowed more than 100 points in 10 consecutive games; not more than 85 in the last four. A bench that has two players, Eric Bledsoe and Jamal Crawford, that can light it up against anyone, while enjoying the return to life of Lamar Odom, which finally gives them a reliable big man to use with the second unit. A championship, and even a conference final, still looks very far away. The Oklahoma City Thunder, the San Antonio Spurs and the Memphis Grizzlies all look and hope to get the same kind of results. 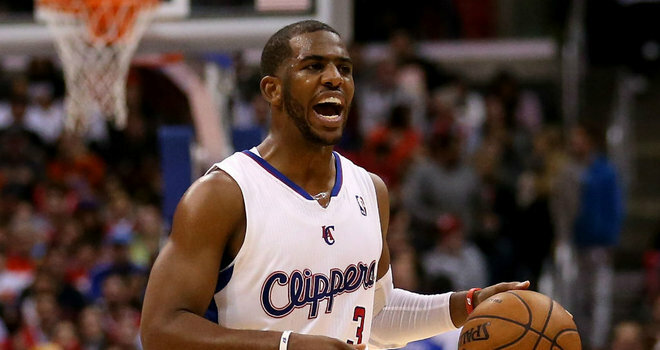 The Clippers rely heavily on one man, Chris Paul, to gets them there. That’s risky, but that’s better than anything they’ve ever had.